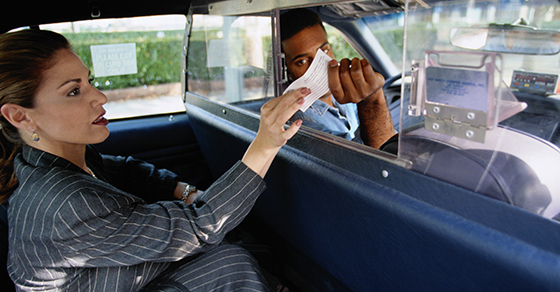 Bills for nonreimbursable expenses, such as alcohol or leisure activity tickets. Some employees are habitual cheaters who stock up on blank receipts from cab companies and restaurants to submit with phony expense reports. Develop a policy for expense reimbursement that, for example, requires original receipts and documentation for expenses over a certain amount. Require every employee to read and sign the policy. Make supervisors accountable for approving and verifying expenses. They should scrutinize suspicious items and any reports containing multiple expenses that fall just below the amount requiring documentation. If you issue company credit cards, regularly verify that employee charges haven’t been canceled and that balances are being paid in full. Establish a confidential fraud hotline if you haven’t already. Employees may know if colleagues are cheating. Your company needs to enforce its expense reimbursement policy to the letter. If, for example, it states that everyone must submit original receipts for single expenditures of more than $25, don’t make exceptions for executives. And if you find that an employee has been submitting false claims, take action. This may include termination of employment and criminal charges. Consult with your attorney. Individual incidents of expense reimbursement fraud don’t typically involve significant sums. But left unchecked, they can add up, particularly if executives or frequent travelers are the perpetrators. Contact us with any questions.